What To Do When Your Frameless Shower Glass Door Leaks? Installing a shower door in our bathrooms has become a must for most of us these days as they not only keep the bathroom dry but also enhances the interior look. Glass doors are installed for purpose of retaining the water inside the shower area and not letting it splash outside. But sometimes, these doors start leaking, contradicting the very purpose of their installation. The leakage could be due to gaps in the corners. Many people resort to replacing their shower doors when they begin leaking. But that can be very costly. Frameless shower glass door leaks can be rectified with a very simple solution. This article below will throw light on easy solutions for shower glass door leaks. Find Out Where the Door is Leaking From? To mend the leaking glass doors, first you need to find out which part of the frameless shower door is leaking. Is your framed door leaking at the bottom? Do you find water dripping on the vertical side with hinges? Or do you see that your frameless shower glass door leaks where the door opens? Most shower glass doors leak the door opening or at the metal track which holds the glass. This leak might be minimal, but over a period of time, you might find water stains and mold at the corners. Leaks are more common in frameless doors as compared to the framed ones. The framed ones have a problem of corrosion because of more metal. If you find water leaking through the gap under the door, then you can install a shower door sweep. 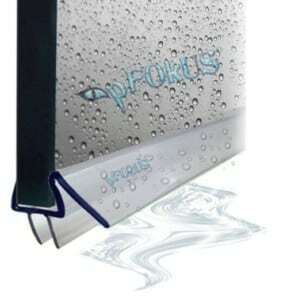 pFOkUS manufactures a high-quality polycarbonate material. Our glass door sweep has an ideal clarity and has a seamless and unique design that prevents leaks at the bottom. These have a strong grip and can easily attach to the bottom of your glass door. They are highly functional and will ensure dry flooring outside the shower always. If you find frameless shower door leaks at both the sides of the glass, then you will have to seal the gap between the door and the adjacent glass wall. Invest in a shower door side seal to solve the leakage issue from the sides. 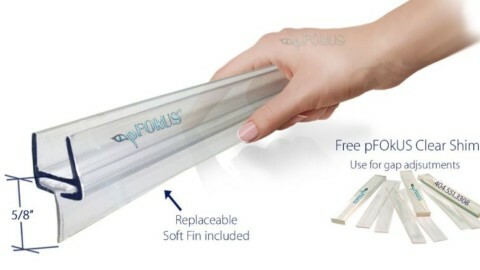 These glass door seals designed by pFOkUS are available in 12 varieties such as push-on, pre-taped and others which come with double-sided tapes. These seals easily snap on the rail. 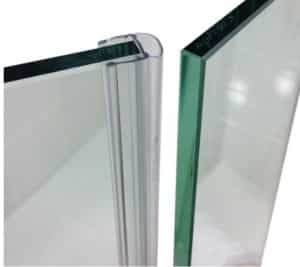 To install the glass door seal on the glass, you need to measure the height and cut the seal accordingly. Most of our seals are pre-taped. 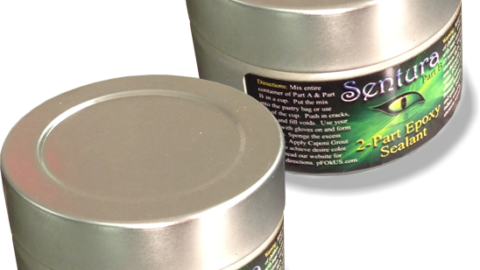 You can also use the un-taped seal or sweep and fix it using double-sided tape. You can clean the etch with a soft clean wipe. You can also use our high quality double sided tape DS200, which is very easy for installing seals and sweeps. 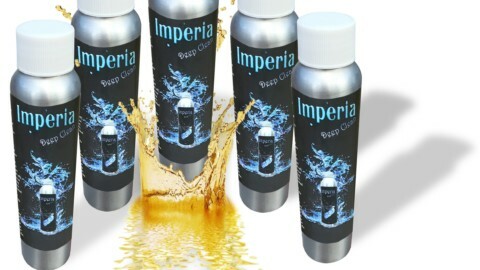 To clean sweep and seal, we recommend you to use our incredible glass cleaner – Benaz. 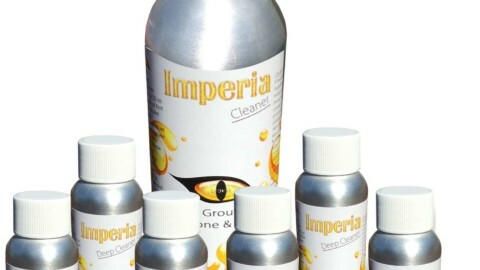 It renders an ideal clarity to the seals, removing the etching, staining and water spots. 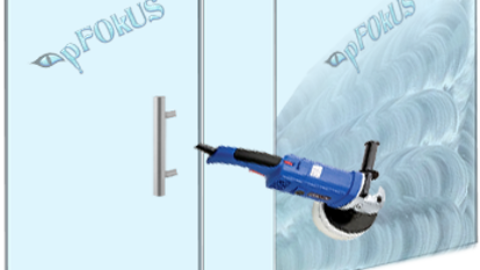 A shower door seal replacement might not be required once you purchase seals and sweeps from pFOkUS. But sometimes, due to hard water issues and tiles with lippage, a replacement might be required every couple of years. Featuring a high-quality material and splendid design, our seals and sweeps are easy to clean, corrosion-free and leakage-proof. If in case, you need to change the seal, they are easy to remove and you can buy a new one from pFOkUS. 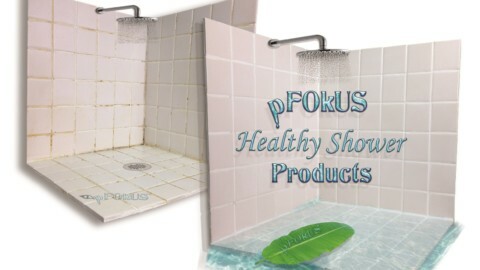 So get rid of frameless shower glass door leaks using high-quality seals and sweeps from pFOkUS. You can also follow us on our Facebook page to receive regular tips on caring for your glass shower door. If you need additional tips on caring for shower glass door, get in touch with pFOkUS today at +1-800-977-8313. Reasons Why Your Swimming Pool Tile Gets Stained? 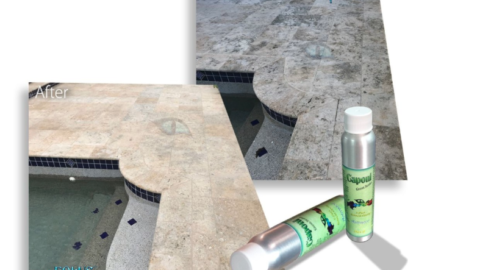 Get a Revolutionary Pool Tile Cleaner!